Alex Lemon received his B.A. from Macalester College and was awarded an M.F.A. from the University of Minnesota, where he taught courses in literature and creative writing and was the assistant editor of Luna: A Journal of Poetry and Translation. His poetry has appeared or is forthcoming in AGNI, Black Warrior Review, Cimarron Review, Hayden's Ferry, Gulf Coast, Indiana Review, Pleiades, Post Road, Swink and Washington Square among numerous other literary journals. His translations (with Wang Ping) of a number of contemporary Chinese poets are forthcoming in New American Writing and other journals. 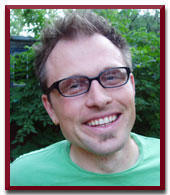 He is the new poetry editor for the online literary journal Konundrum Engine Literary Review.